To transmit messages across telegraph wires, in the 1830s Morse and Vail created what came to be known as Morse code. 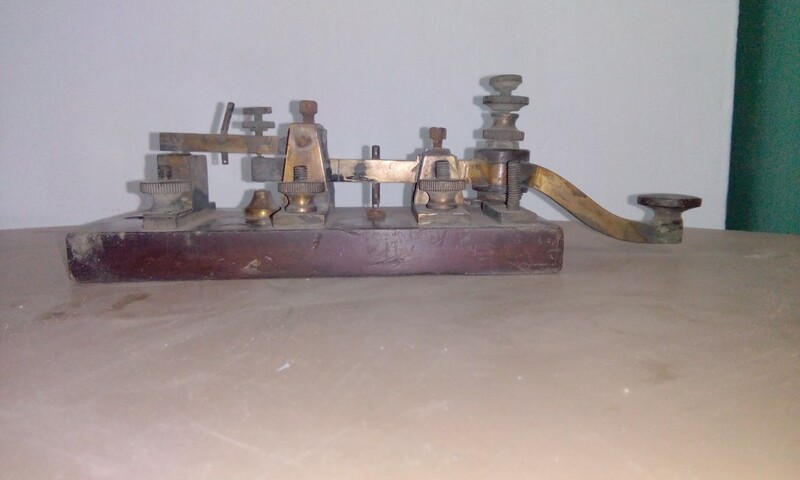 Telegraph messages were sent by tapping out a special code for each letter of the message with a telegraph key The code assigned letters in the alphabet and numbers a set of dots (short marks) and dashes (long marks) based on the frequency of use; letters used often (such as “E”) got a simple code, while those used infrequently (such as “Q”) got a longer and more complex code. Initially, the code, when transmitted over the telegraph system, was rendered as marks on a piece of paper that the telegraph operator would then translate back into English. Rather quickly, however, it became apparent that the operators were able to hear and understand the code just by listening to the clicking of the receiver, so the paper was replaced by a receiver that created more pronounced beeping sounds.